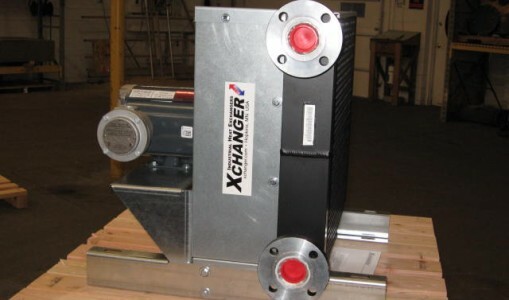 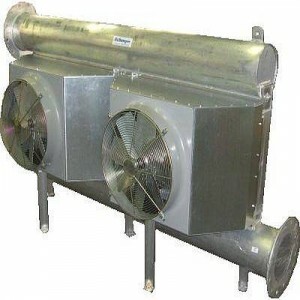 A single aftercooler for a high capacity centrifugal blower can be used to bring the discharge air temperature to near ambient in order to protect downstream piping, protect conveyed product, or to reduce the required chiller capacity if lower outlet temperatures are required. 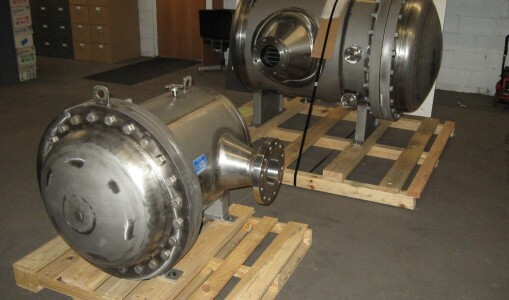 High pressure losses downstream of a centrifugal blower will cause reduced flow rate and will likely require higher power consumption to achieve the required conditions for the process. 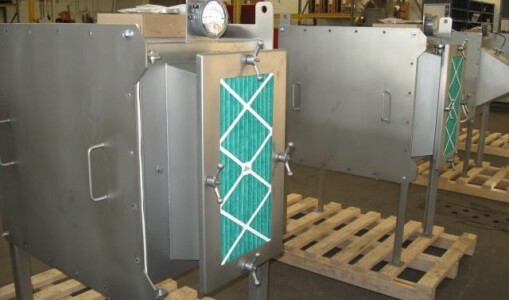 The high capacity blower aftercoolers have minimal pressure drop, generally less than 0.2 psi, significantly reducing overall operating costs. 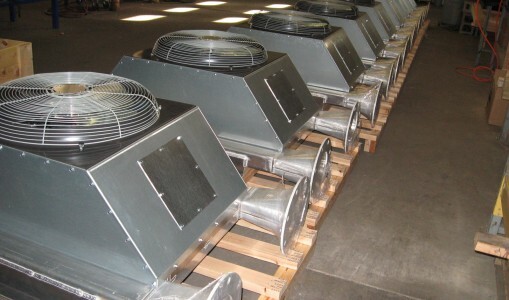 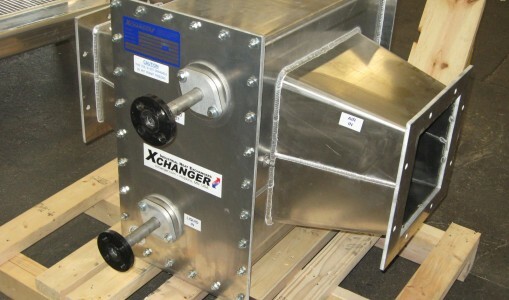 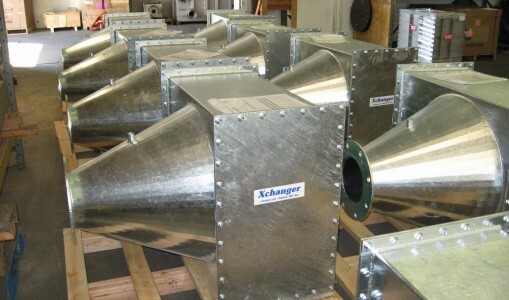 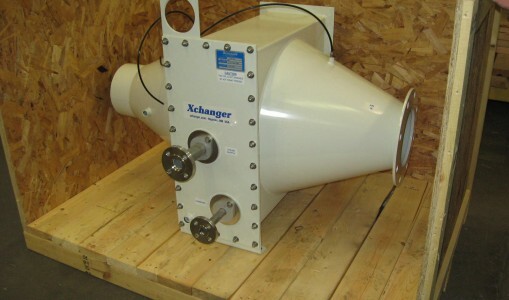 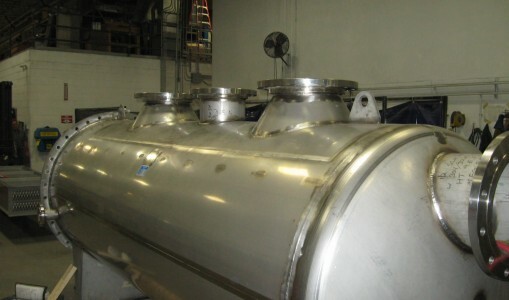 The pictured blower aftercooler manifolds multiple AA Series heat exchangers in parallel using large diameter aluminum tubing, which increases capacity while reducing restriction. 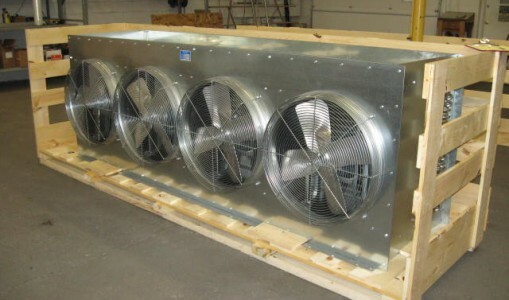 This particular model uses two 3 HP fan-motor assemblies to cool blower discharge of 3500 SCFM from 300°F to 122°F with 95°F ambient air. 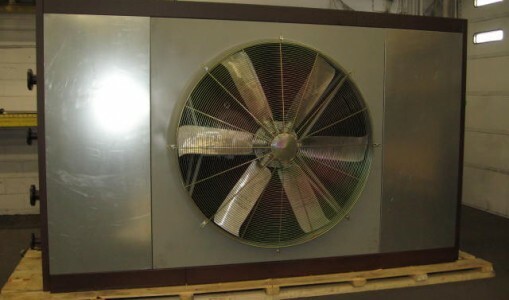 The pressure loss for the blower air is 0.1 PSI.